The desire to decorate the human body appears to be universal, dating back at least 80 000 years. The oldest jewellery in the world comes from Blombos Cave near Mosselbay where ancient man adorned himself with a string of gastropod shells. In African countries copper, brass and silver has been used by tribes for self adornment for thousands of years. Closer at home layers of copper neck rings and bangles are still considered a sign of affluence. But it is in glass that our indigenous artists have found a medium to express themselves the fullest. Our African nations have long been practicing the art of bead work as part of their cultural heritage. During the long beading sessions women talk with each other and their daughters about life, values and their expectations. Traditional bead designs relate to courtship and marriage. The combination and arrangement of colours indicate marital status and the wearing thereof is used to identify those who could be approached for courtship. Like the African languages, the bead language is rich in nuance and complexity and can only be fully understood by those immersed in the culture. There are seven basic colours which can have either a positive or negative connotation, depending on their juxtaposition . The colour white is the exception and is always a positive symbol of fidelity and purity. If white is placed next to a colour the positive meaning is taken. For example; white next to blue signifies true love and is the traditional engagement symbol. Zulu maidens will send messages to their lovers, weaving thoughts of love, grief, jealousy or uncertainty into the intricate patterns in bracelets, necklaces and bibs – these are popularly known as “Zulu Love Letters”. 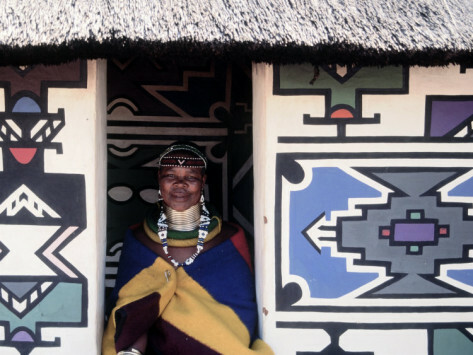 The Zulu, Xhosa and Ndebele nations each produce distinctive styles of beadwork that reflect their unique identity and cultural traditions. Beadwork is worn by all members of society. Modern beadwork often represents a mixing of the traditional and the contemporary. This results in unique styles, not only in jewellery, but also in ornaments and home decorations. « 101 Unique Feautures of Diamonds, Part 1.